Monkey’s Run Villa is a spacious home with the finest of everything. 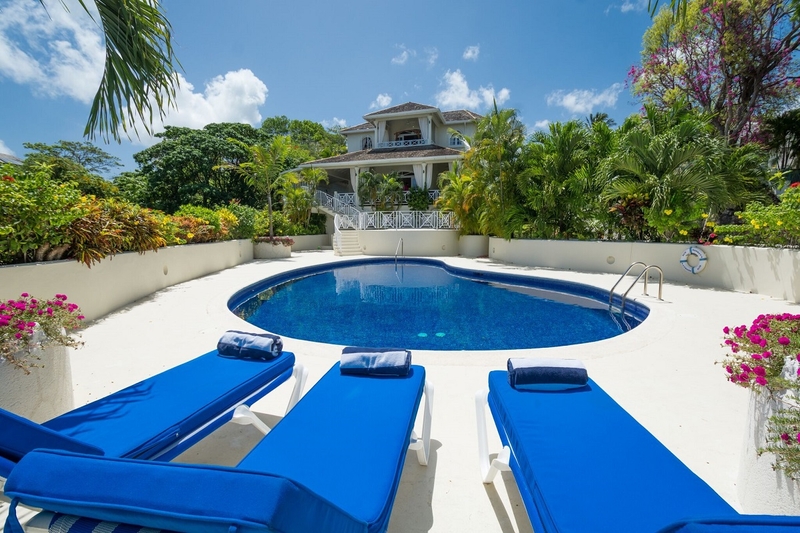 Five comfortable bedrooms with en suite baths, a huge kitchen with everything you need for meals or snacks, and lots of comfortable places to relax inside or out make this villa one of the best getaways in Barbados. A large pool and hot tub are perfect for day or night dips, and the view from this deck or the upper level verandah look out over the sea and the surrounding island tropics. Monkey’s Run is also conveniently located to restaurants, shopping, beaches, and more. Monkey’s Run, situated on a lovely ridge within the renowned Sandy Lane Estate, enjoys breathtaking views across the swimming pool and tropical gardens to the West Coast of Barbados. This spectacular villa offers accommodation on three levels and features five en suite bedrooms. The ground floor comprises the kitchen, reception room and a bedroom with private entrance and spacious terrace leading out to the pool and Jacuzzi. The master suite with study and terrace as well as two other bedrooms occupy the top floor, while the lower level includes the final bedroom, TV and sitting room, staff, laundry and storage areas. This prime location on the Platinum Coast is in close proximity to all amenities, including boutique shopping, fine dining restaurants. Special Rates Apply for the Christmas.New Year Holiday Season.